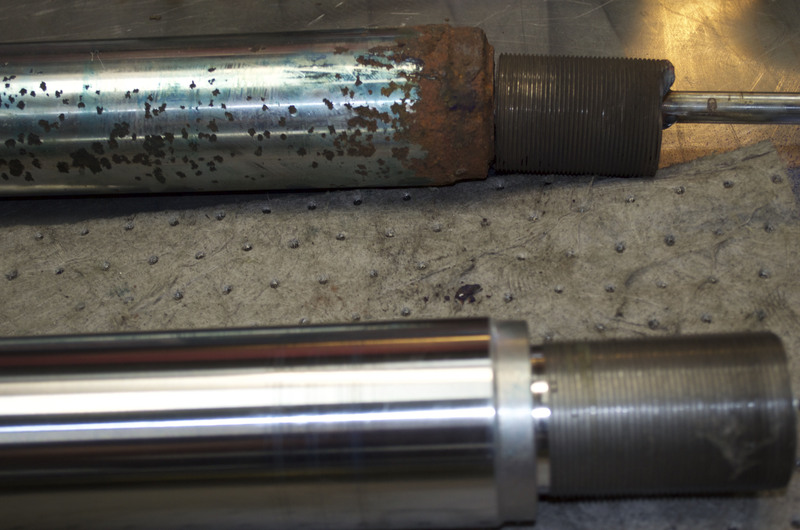 In need of Hydraulic cylinder repair or remanufacture? Click here to contact our trained technicians today of call the number below! "I have seen a lot of cylinders come through here and I haven't seen one in this kind of shape." That was the reaction from Hydrotech, Inc. machinist Bobby Watson when he saw the cylinder he and his fellow machinists were challenged to repair. The owner of the cylinder was in a bind. The cylinder was crucial to his company’s manufacturing process. Without it, an essential machine would be down, costing money and slowing down the completion of jobs for paying customers. To further complicate the situation, the original cylinder manufacturer was no longer in business, which left the customer with limited options for repair. 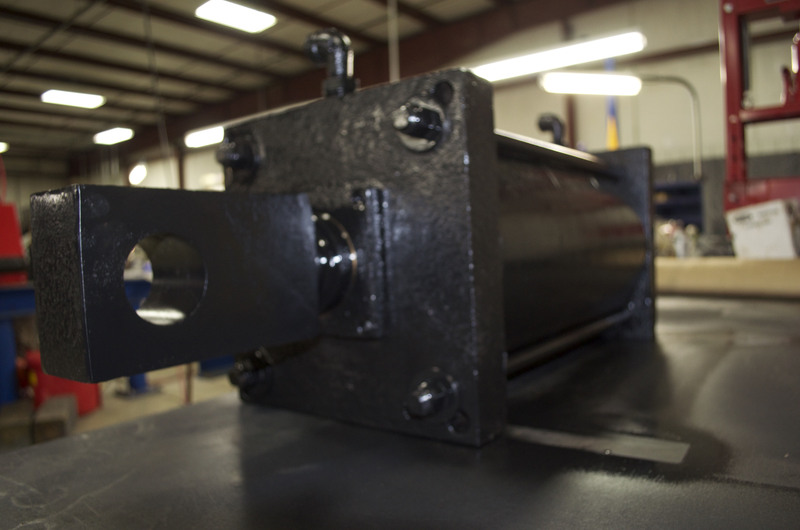 Purchasing a new custom cylinder would be expensive; a new hydraulic cylinder generally costs three times more than the cost to repair an existing one, in this particular situation. Repair was the obvious preference. 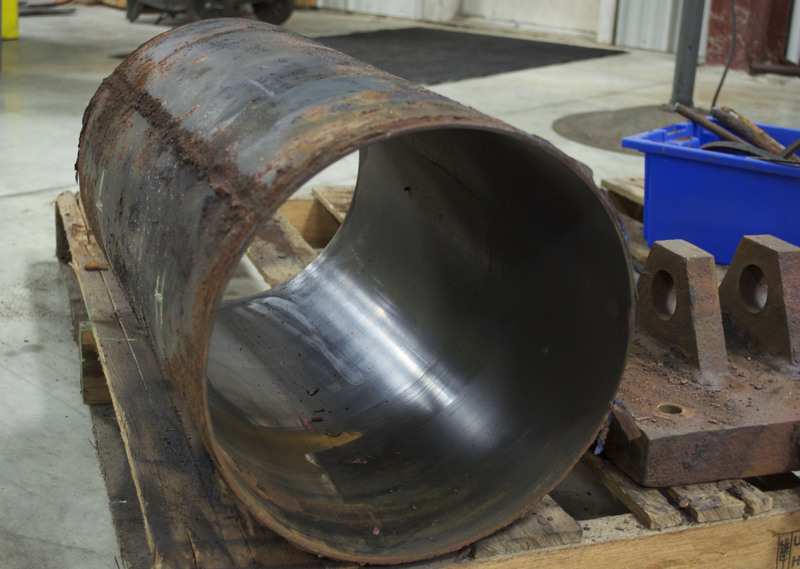 Fortunately, Hydrotech Inc’s Service & Repair Division was fully capable of remanufacturing the custom cylinder. WATCH: Obsolete Hydraulic Cylinder Remanufacture & Repair by Hydrotech, Inc. The cylinder was so rusted that many parts had formed into one piece. One of the first steps was to machine out all the old bolts and screws that were rusted out. The piston rod had to be replaced but the new rod was missing many of the features needed to fit into the existing custom cylinder. Hydrotech’s machinists turned down, cushioned, and threaded the new piston rod. The same occurred for the base tube and four new tie rods. Fortunately, the rod eye was still salvageable. Unfortunately, when the rod eye was cut off from the old piston rod, it was clear that the old piston rod had rusted so much it had formed into one piece with the rod eye. But it was a problem Hydrotech machinists were able to solve by boring out the old piston. They also took out a dent in the rod eye and gave the rod eye some much needed de-rusting. Lastly, it was the gland’s turn. Just like many of the other parts, the original gland had rusted onto other parts and had to be machined out. The new gland was turned down and threaded. The machinists also bore and cut a new bronze tube for the gland. In less than a month, Hydrotech’s Service & Repair division was able to provide its customer with a remanufactured cylinder that not only looked like new but worked like new as well—at a fraction of the cost to buy a new one. If you're in need of hydraulic cylinder or any other hydraulic component repair, contact our Factory Trained technicians today! Our service department is skilled in hydraulic cylinder repair, hydraulic valve repair, hydraulic motor repair, hydraulic pump repair and complete system repairs. We are the hydraulic repair source for Ohio, Kentucky, Indiana and West Virginia.